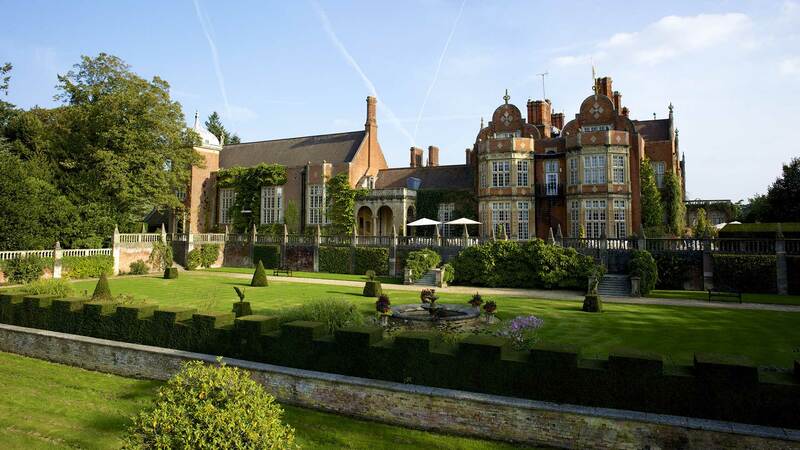 If you have a love for the great outdoors you can now get married in the gardens of Tylney Hall Hotel. Both of the stone gazebos in the Italian Gardens are now licensed for outdoor wedding ceremonies. These have glorious views of the gardens and the lake and will make beautiful photos and a very memorable wedding ceremony. This option is available on the Mansion House (Tylney/Chestnut suite) package and on bespoke packages. The beauty of an outdoor wedding ceremony at Tylney Hall is that you can have up to 121 guests, with eight of the bridal party underneath the gazebo, and the rest of the party in the surrounding gardens. An indoor ceremony option will also be held for you in one of the stunning mansion house suites and is included in your ceremony fee, just in case the weather is not as you had hoped for!